There were about two million people in Papua New Guinea in 1966. Today, there are over four million. Amongst others, such population increase could not have occurred without a higher food production and substantial food imports. The increased food production resulted from better crop husbandry practices (mounding, composting etc.) as well as higher land-use intensities, that is to say, shorter fallow periods. But agricultural research has also played a role in the increased food production. 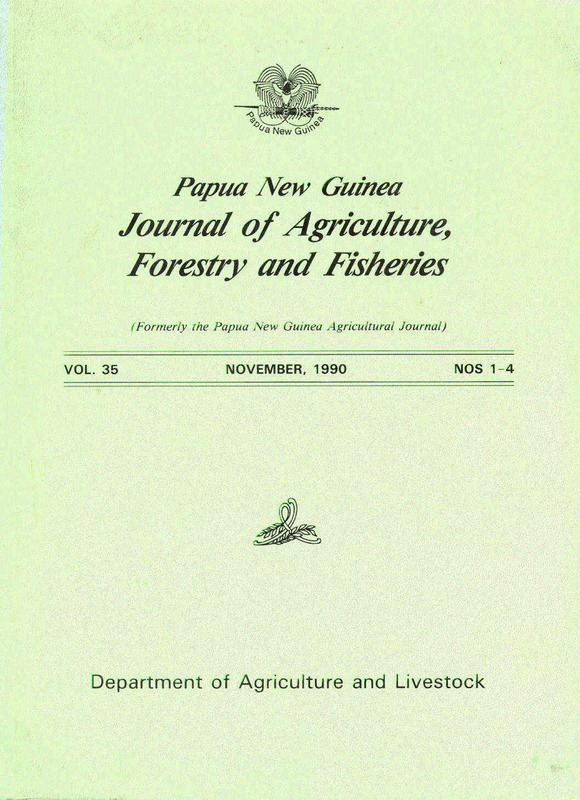 The Papua New Guinea Journal of Agriculture, Forestry & Fisheries previously known as the Papua New Guinea Agricultural Journal, has for 50 years been the sole national publishing medium for agricultural research in the country. The journal has experienced some vicissitudes but currently appears with one or two issues per year. This is a special issue of the journal dedicated to one of the natural resources on which all food production depends: the soil. Papua New Guinea has a long and interesting history of soil research of which Dr Geoff Humphreys gives an overview in the first paper of this issue. Mr David Freyne describes in the second paper PNGRIS (Papua New Guinea Resource Information System) which contains digitized information on the natural resources, land use and population of the country. 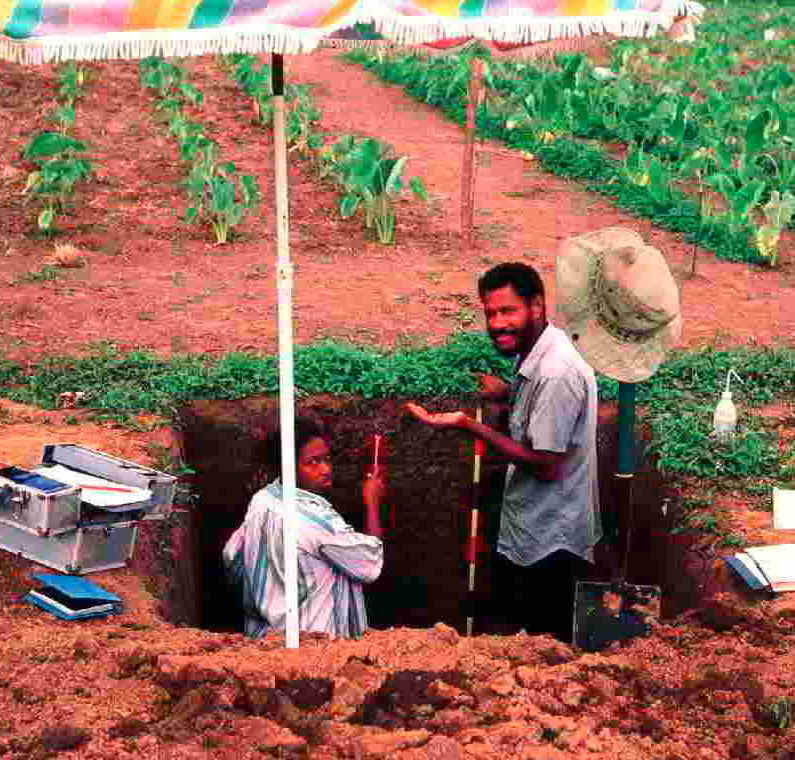 There is a large soil component in PNGRIS that, as the author shows, can be used for several purposes. Mr David Radcliffe and Mr Matthew Kanua used PNGRIS to estimate the cover of Andisols and they review the specific chemical and physical properties and management of these soils in the third paper. Although Andisols cover a relative small area, they are extensively used for cultivation. Coffee is an important source of income for one-third of the population in Papua New Guinea and Dr Paul Harding and Mr Potaisa Hombunaka review the nutritional aspects of the crop. They summarize many years of research conducted at the Coffee Research Institute and throughout other parts of the highlands. Plantation agriculture earns the country cash but also supplies domestic needs like for example the sugar from Ramu Sugar Ltd. Our work at the sugar cane plantation has indicated significant soil changes since the plantation was established in 1979 which may affect production if such trends were to continue. The paper is followed by three papers on sweet potato production. Sweet potato is the main staple crop in Papua New Guinea and research aiming at yield improvements is likely to have large impact. The first paper by Mr Matthew Kanua indicates that inorganic fertilizers may have significant yield effects. Although inorganic fertilizers are hardly used by smallholders this may have to change in order to increase food production. The other two papers deal with sweet potato production in agroforestry systems. Over 20 years of research in other parts of the world has shown that agroforestry has a large potential for high base status soils, on steep slopes and in areas of high rainfall. Such conditions occur in many parts of Papua New Guinea. The last two papers dealing with research conducted in the lowlands of Morobe province, generally confirm the agroforestry potential. The authors should be wholeheartedly thanked for their contributions to this special issue. Mr Rueben Sengere and Ms Betty Aiga of the DAL publication section are thanked for the lay-out of the papers and preparing them for the printery. Several anonymous referees are acknowledged for their review of the manuscripts. It is hoped these efforts may form some contribution to a sustainable agricultural development of Papua New Guinea for which a profound understanding of the soil resources and their management is essential.